What happens when you explore the worldview by weaving together perspectives and ideas from some of the key theorists and thinkers in the fields of cosmology, environmentalism, sustainability, social theory and anthropology? It will elegantly tell the story of where we have come from, where we are now, and the possibilities for our future. 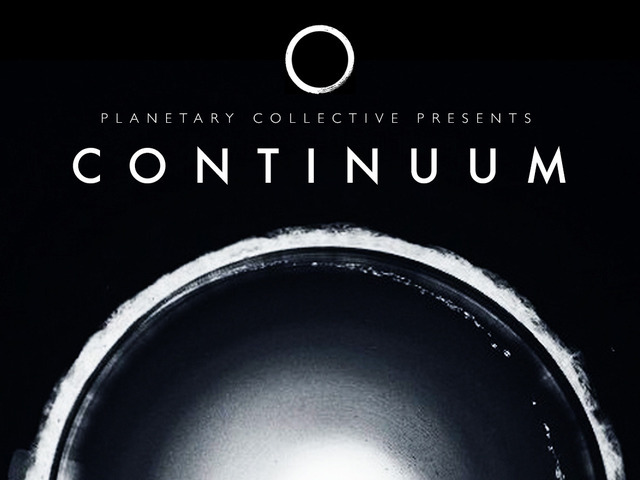 The Planetary Collective feature-length documentary titled Continuum shows, in a very engaging way, how humans lost connection to each other, the earth and universe. And when you think about it, the battle metaphor isn’t a stretch; after all, we’ve been controlling and exploiting our environment for centuries, with some pretty disastrous results. The film, directed by Guy Reid, aims to tell the story of where we came from, where we are now, and what’s next for the human race through interviews with astronauts, physicists, poets, anthropologists, Tibetan lamas, and more. The Planetary Collective: "One of the fundamental factors underlying this crisis is our worldview: the way we see the world around us and our relationships to each other, the planet, and the cosmos as a whole. Our worldview informs our values, behaviour, and way of life in such a way that some environmentalists have declared the environmental crisis to actually be a ‘crisis of worldview’. One dominant feature of our ordinary worldview is the misperception that we are separate from each other and the greater systems we are embedded within. Continuum is a feature-length documentary that explores this sense of separation and its roots in language, perception and our evolution. The journey will take us from the first stirrings of life to the emergence of a global brain; from the complexity and wonder of a single plant cell to the emerging biomimetic technologies that are changing the way we build the future; and from the appearance of modern humans to the planetary crisis we face today."